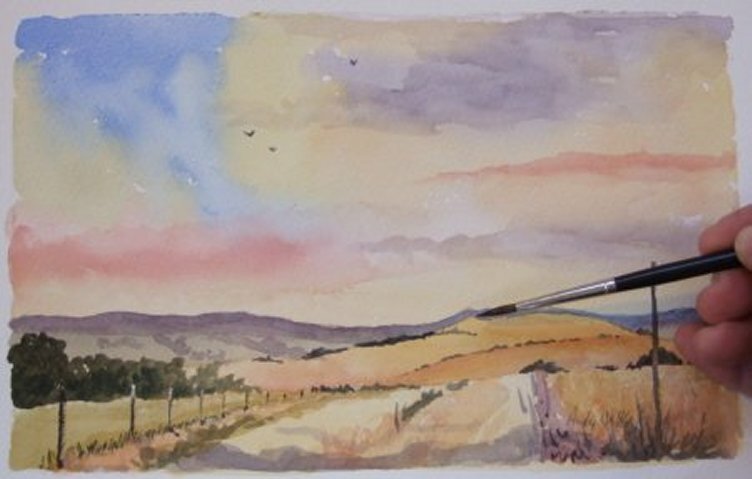 Choose from these great online watercolour painting courses. They are designed for beginners and also for those with more experience in painting in watercolor. A course which will take you from the very basics of watercolour painting right through to the secrets of the professionals. ​A great starter course for the complete beginner, but also for those who already paint but want to make sure they are doing it right! This course is for you if you want to loosen up in your painting. It is aimed at those who already paint in watercolours but who want to develop a more impressionistic style. ​Learn how to paint the basic elements of any landscape. The course covers how to paint ​skies, foregrounds, backgrounds and trees, and shows how to fit each of these elements into the landscape. This course will help both beginners and those with some painting experience to improve their landscape painting.